Web Portals are websites providing services offering to post Ads, email services, Web blogs, Forums and various other resources. For instance we have portals for jobs, which are Naukri.com, Monster.com etc. to name a few and various other Dating, Matrimony, News portals and so on. Web portals are of great help to all youngsters as anyone can search through these web portals for jobs or life partners globally with ease and not having to bother about emptying their pockets to various consultancies or agents. Job seekers can easily post their resumes on the various job portals and even the companies can post their job openings. People managing their busy careers can always catch up with the latest news by means of these news portals and even give their views and opinions on many issues. Designing a web portal is always a challenge due to its complexity and new innovative features is a demand of every portal, but our team at CreativeWeb4U is always ready for such challenges with a commitment of satisfactory results. 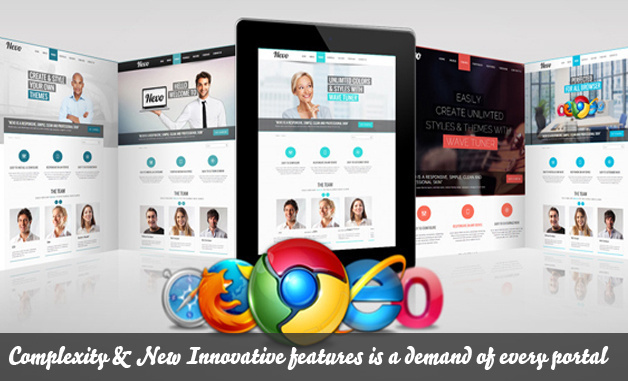 We will deliver the best web portal designs and concepts.